With a USB repair of Windows 8 or 8.1 you can start the PC. 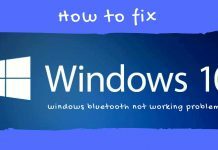 It is mostly used when you need to repair Windows and the system does not boot normally. This is also possible in two ways: with a Windows installation DVD or from an ISO image of yours that you can copy to USB (or CD) . 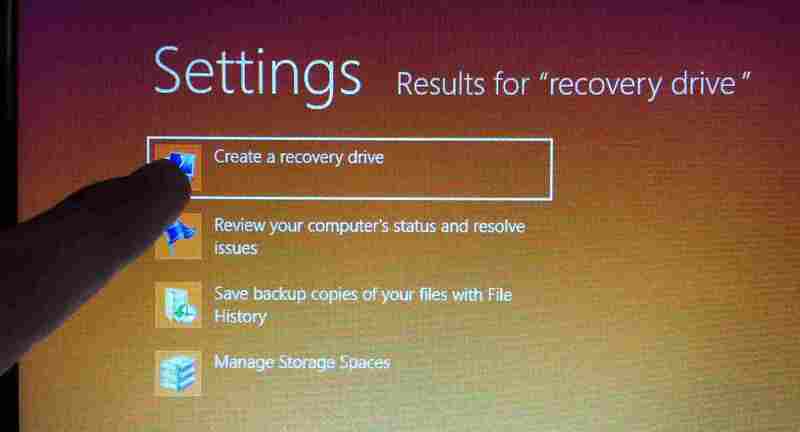 Creating a bootable windows 8 recovery drive is a must for you and for your desktop PC and Laptop. In case of your Pc running into problems and doesn’t work properly, recovery drive is the best and reliable option. Also see this article from CNET. And also creating a bootable recovery drive for windows 8 and windows 8.1 is a convenient and inexpensive process.You should also see How to make a bootable USB disk for windows 8, 8.1. Note: You should Use an USB flash drive with at least 8 GB of free space. 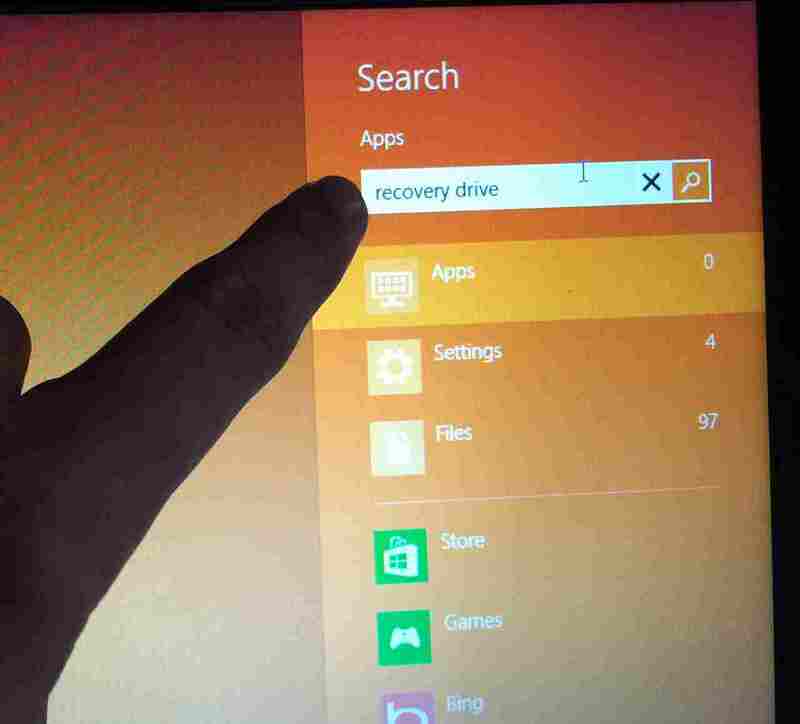 Creating recovery drive for your windows 8 and windows 8.1 will delete all the files or important data from your USB flash drive. So, make sure to backup your important data or information before creating USB for creating recovery drive. On your desktop Pc or Laptop Swipe your mouse pointer towards the right lower or upper corner of the computer. 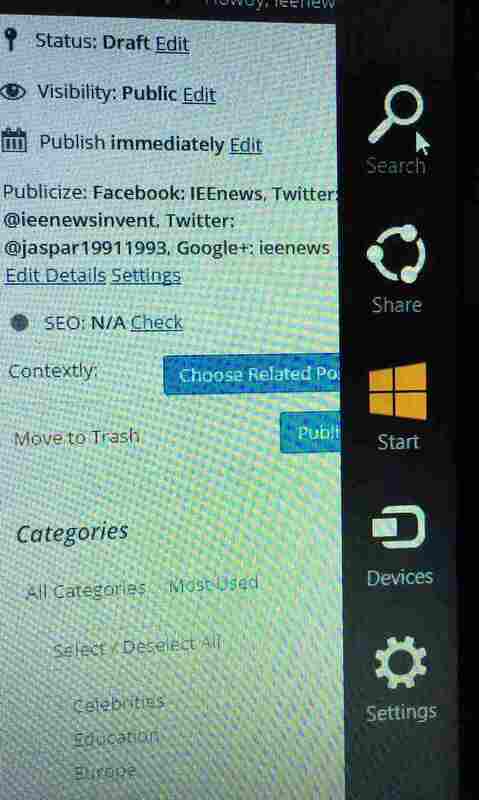 You will see a widget tab will appear, click on the Search icon which is the top widget, in order to open search tab for your windows. 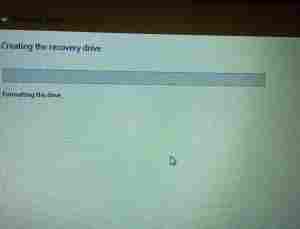 In the third step enter the word Recovery drive in the Search. After typing Recovery drive in search box you have to click on the SETTING tab which is below the search. 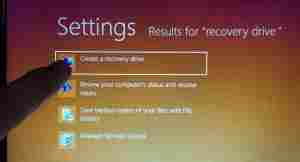 After clicking on Settings open create a Recovery drive. You might be prompted for an admin password or admin permission. After opening Recovery drive software it will show you the basic information you need to know, read it, and then click on Next to move further. If USB flash drive is not connected to Your PC it will show you a message that ‘Connect a USB flash drive’ and the drive must be able to hold at least 512MB. 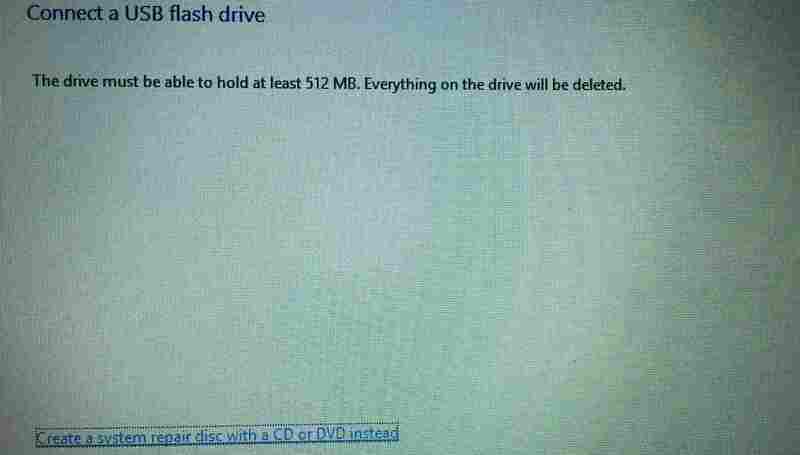 Everything on the USB flash drive will be deleted. In the 8th step you have to connect a USB disk drive to your PC. And you should make sure that it is detectable. 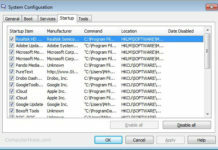 The recovery drive software will list your USB flash drive under ‘Available devices’. Select or click on the USB drive which you want to use as a Bootable recovery drive for windows 8 and windows 8.1. Click on Next to start the process. After clicking on Next, a message will appear that ‘everything will be deleted from the USB drive, make sure that you backed them up’. 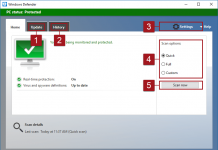 Click on Create button to start the process of making a bootable USB recovery drive for windows 8 and windows 8.1 and click on cancel, if you want to terminate the process. All the necessary files and recovery tools will be copied to your USB disk drive and it might take some time, depending upon the size of your recovery media. You can remove your USB flash drive now after clicking on the finish button. All done for now. This USB flash drive or disk drive from now on, will act as a windows 8 or windows 8.1 recovery derive. 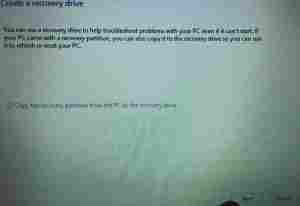 And you will definitely need it, if any time in the future your PC ran in to any problem. 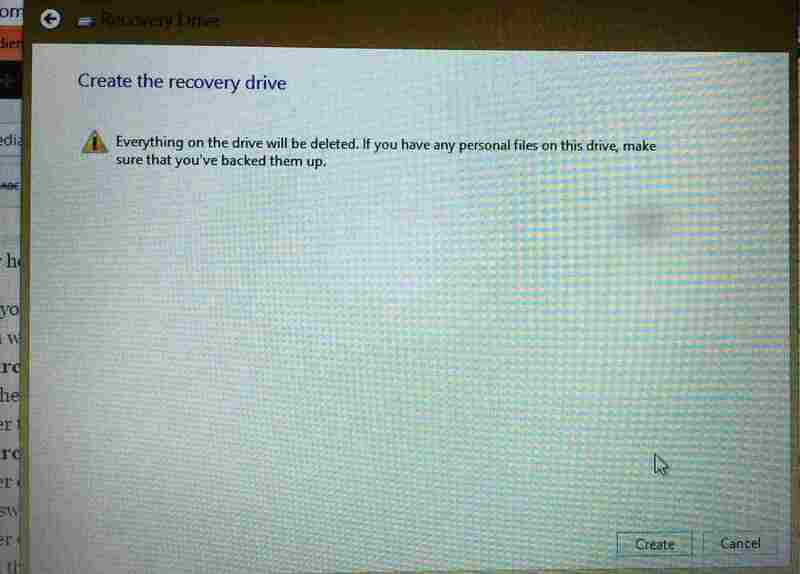 Keep your Windows 8 recovery drive at a safe place. Note: If you have updated your PC to windows 8.1, and you want to recover your PC using this disk drive, then you have to update your PC again to windows 8.1 after using this recovery media. Because The recovery media contains the Windows 8 Recovery files. You can also read How to make a bootable USB disk for windows 8, 8.1. You need an empty USB. The steps below will erase everything in it. In general you must have at least 512 MB. You may need a lot more capacity, 15 GB or more. Especially on computers with Windows 8 or 8.1 pre-installed (they already came with the PC and you have not installed yourself). Follow this link if you prefer to create a Windows 8 boot disk instead of a USB (valid only for Windows 8). 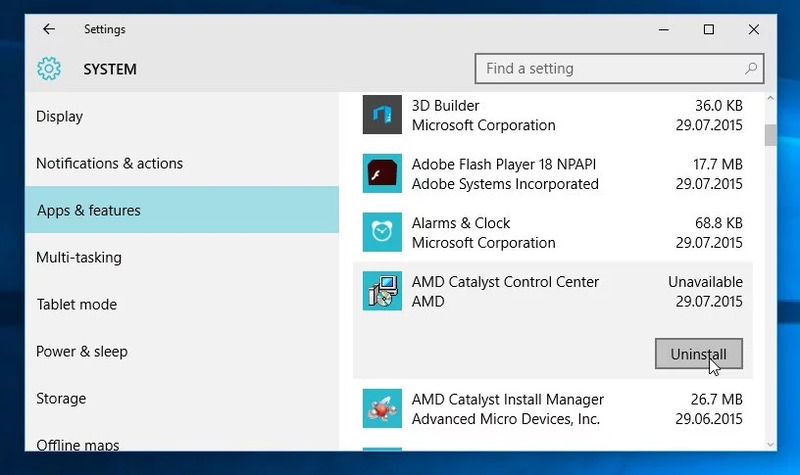 You can create the USB in your computer or in any other one that has Windows 8 or 8.1, as you have one or the other. If you plan to do it on your own PC jump directly to the steps below to create it. If you are going to use another PC, your Windows 8 or 8.1 should have the same number of bits as yours, or the USB will not work on your computer. For a 32-bit Windows you must create it in a 32-bit one, and a 64-bit one in a 64-bit Windows. 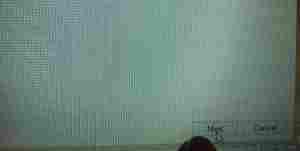 Click to know if a Windows is 32 or 64 bits . Connect the empty USB and disconnect all other USB that you can have connected to the PC. 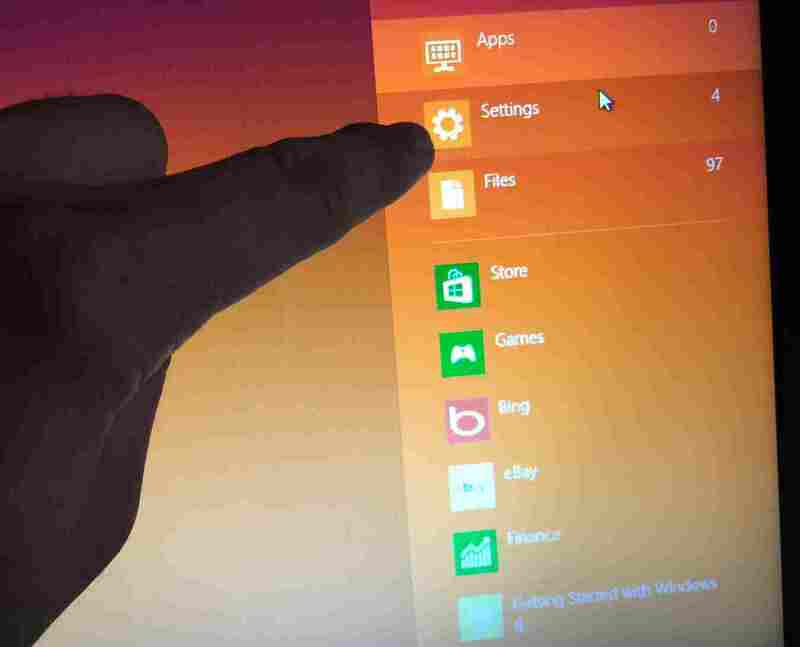 Drag the mouse pointer to the lower left corner of the screen until you see the Windows 8 Start menu icon . Right-click the RIGHT button and select Run . Go to the normal Desktop . Click the Start button with the RIGHT button and choose Execute . 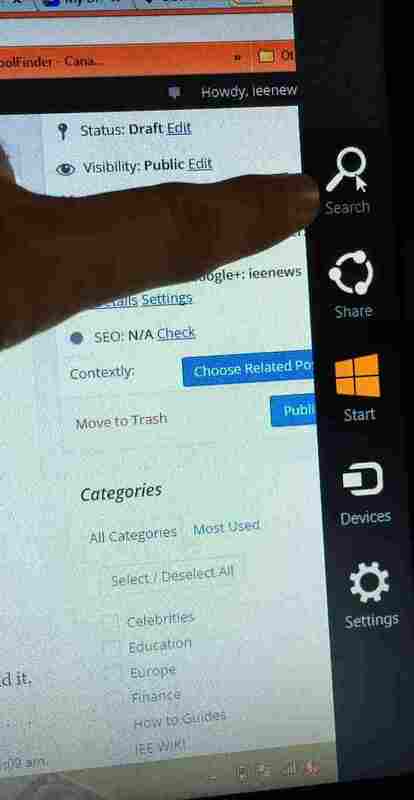 In both cases you can directly open that option using the Windows 8 / 8.1 shortcut Windows + r key . Type in the recoverydrive.exe window and press Enter on your keyboard (or click OK ). Confirm the warning that exits. The “Recovery Unit” window opens. Below is a box that may or may not be active. It is not if it is grayed out and you can not select it. It is quite normal. 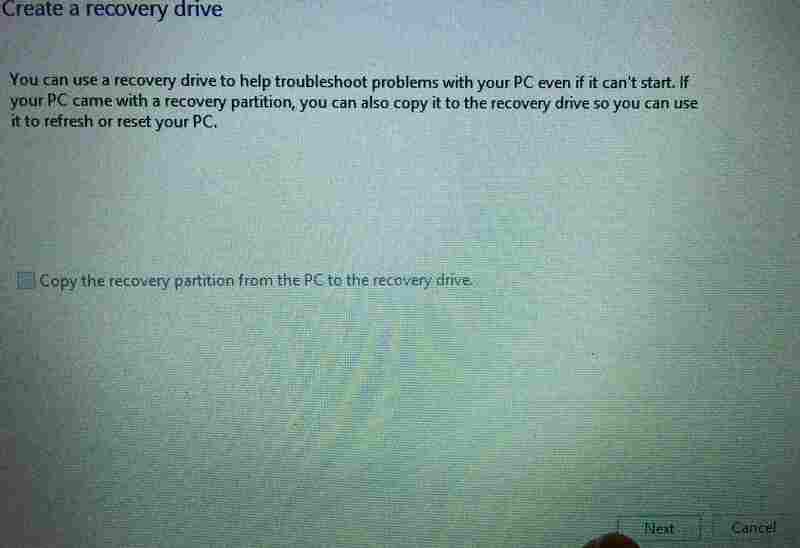 It means that your PC does not have a recovery partition, as it does on many computers without Windows preinstalled. You should only activate the box below, Copy the recovery partition of the computer to the recovery unit , if it is active and you are creating the USB boot on your own computer. DO NOT activate it if you are creating it in another. Turning on that option means you may need a much larger capacity USB. It will more or less depend on how much the recovery partition will be copied to. If the USB you are using does not have enough capacity, A notice will tell you the necessary. In that case you will have to get one big enough and repeat the steps from 1. Click Next on the “Recovery Unit” window when you are ready. In the new window there is a list of available units. Select the USB by clicking on it. It is usually called E :, F :, G :, etc. But can have almost any other letter. Make sure you choose the correct USB and not another drive. If you make a mistake you will delete the content of the one you have chosen! 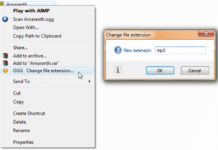 If necessary check the USB letter by entering the menu Start -> File Explorer . Move forward with Next after choosing USB. 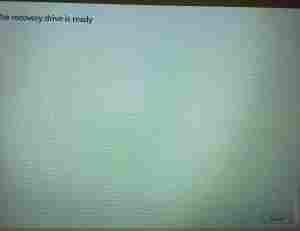 A window warns you that everything in the selected drive (USB) will be erased. Find out and press Create . Creating the USB usually takes a couple of minutes. It takes longer if you have chosen to transfer the recovery partition. Check the progress using the progress bar. Press Finish when the wizard tells you that the recovery drive is ready. 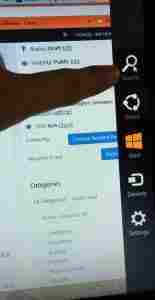 If you get a message that allows you to delete the recovery partition from the computer, tell it that you do NOT want to do it. It is convenient to identify the USB you just created so you do not forget what it contains. 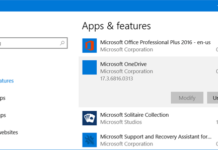 Enter the Start menu -> File Explorer . Click on the USB to select it, then right click on it and choose Rename . Put something like “Startup 8/81” and press Enter . Do this if your PC crashes and you need to use the repair USB that you have created. Configure the computer to boot from USB . Wait for a blue window to pop up with a list of languages ​​like this (maybe it will take a while to show up). The normal thing is that you must click in Spanish . Select another language only if your keyboard has a different layout. For example, if it is an American English keyboard, choose the “United States” layout even if your Windows is in Spanish. Is the language you are looking for not listed? Click the link See more keyboard layouts . Click on it as many times as needed to display the available languages. After clicking on the language you enter the windows recovery window. 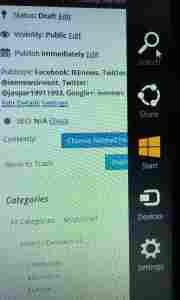 Follow the appropriate link to see how to use the options to repair Windows 8 or repair Windows 8.1 . The USB you have created is in every case used to boot the PC and repair Windows. It can also be used to reinstall Windows to the factory state. 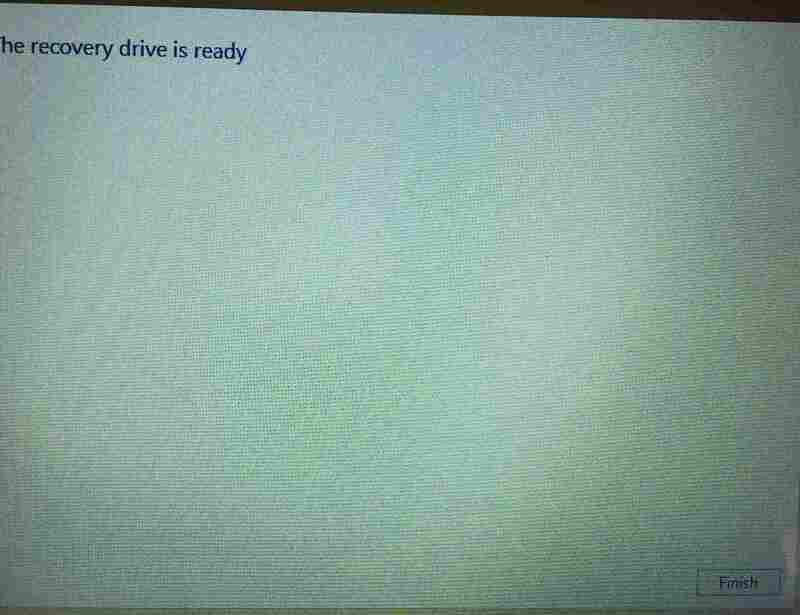 But ONLY if you chose to copy the recovery partition to USB.